There are countless social movements in society, and they want you to pay attention. In a social movement, a group of ordinary people come together to advance a social cause, and there are countless movements in society. In the early twentieth century, women activists banded together to promote women's suffrage —the right to vote. In the 1960s, the civil rights movement promoted justice for African-Americans. The anti-nuclear movement protests the development of nuclear energy. Mothers against Drunk Drivers advocate tougher laws against drunk driving. As a result, social movements work hard at having distinctive approaches. The movement for breast cancer awareness has the ubiquitous pink ribbons. Not to be outdone, other movements have adopted their own ribbon colors. For example, white ribbons are for lung cancer and violence against women. Yellow ribbons are for deployed soldiers and suicide awareness. Blue ribbons are for child abuse and Hurricane Katrina. Purple is for lupus and showing religious tolerance. Green is for environmental awareness and Lyme disease. Puzzle-piece ribbons are for autism. Ribbons with the words “publish me” are for untenured faculty--okay, I made up that last one. (As an aside, some have criticized ribbons and wristbands as “slacktivism”—doing things that make us feel good about helping others without actually spending any of our time or money in doing so). In addition to distributing ribbons, social movements do lots of other things. They can hold demonstrations. The million-man march in 1995 brought hundreds of thousands of demonstrators to Washington D.C. to promote unity and political participation among black men. They also get celebrity endorsements. For example, People for the Ethical Treatment of Animals (PETA) regularly features actors and actresses in their commercials, sometimes taking off their clothes (a time-honored method of getting attention). Sometimes they just advertise on television and in print, similar to a business seeking customers. There’s a problem, however—there is only so much public attention to go around, and there are a lot more movements wanting attention than there is attention to give. As such, movements compete with each other for the public’s attention. 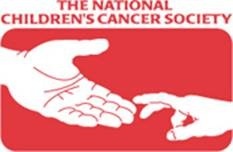 In this sense, groups like the National Children’s Cancer Society are fighting against not only the disease but also against other disease-related groups. 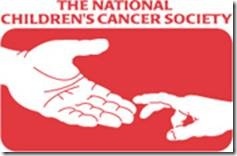 If, for example, the Juvenile Diabetes Research Foundation does a particularly good job of raising awareness, then there may be less to give the NCCS. This puts social movements in a bind. On one hand, they are probably sympathetic to the causes behind their competing social movements. I suspect that members of the NCCS are also against juvenile diabetes. On the other hand, these other groups are their competitors, taking resources from them. wild pandas and their habitat. It’s a small group—I’ve never heard of them before this commercial, and so I imagine that they struggled with how to get their message out. They came up with this commercial that explicitly recognizes the resource mobilization model described above. As implied in this commercial, the problem for panda bears is not just deforestation and poaching, but also the public support for whales. Yes, Greenpeace and others portray whales as beautiful, noble creatures, but this video shows the shocking truth! (My guess is that baby harp seals and cute little kittens are also harmful for pandas. Hopefully future commercials will get at that as well). Well, what did you think? In a way, I appreciate its honesty because I imagine that a lot of social movements think that they are more important than other movements. Still, it is so, so tacky. It certainly does exemplify the social mobilization theory of social movements.